This is an ex-library book and may have the usual library/used-book markings inside. This book has soft covers. In fair condition, suitable as a study copy. Dust Jacket in good condition. Binding is split. This is a very interesting and fast paced book. You won't go wrong by getting and reading this well written book. 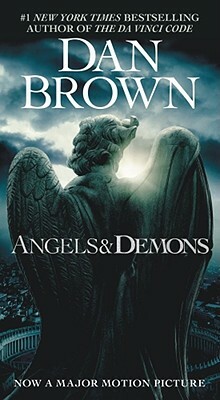 While every one raved about "The DaVinci Code", which was very good, I think that "Angels and Demons" was much better. Riveting and kept you turning the pages. I read it in one day! thought the book was outstanding! Another EXCELLENT Dan Brown book! Another EXCELLENT Dan Brown book! I could NOT put this book down! It continues the characters from DaVinci Code, so you feel like you're already involved... this book has it all - Mystery, History, Travel -- PERFECT!!! !